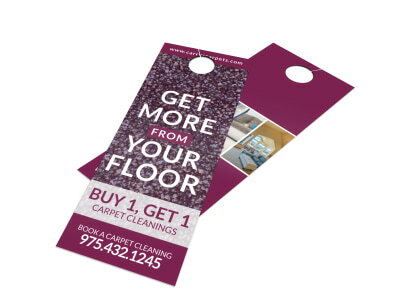 Customize our Fun Carpet Cleaning Door Hanger Template and more! 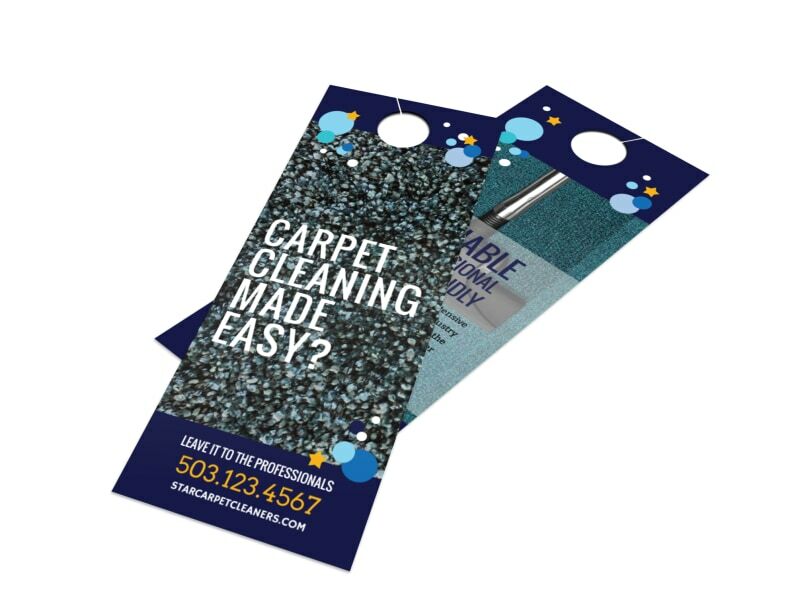 Clean up on customers when you leave this customizable door hanger behind giving the details of a carpet cleaning special. 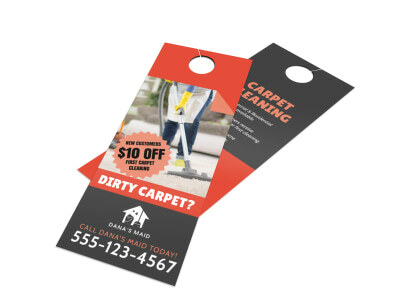 Bring your door hanger to life with your promotion’s details in custom text, graphics that catch the eye, and a strong call to action. Start the design process now with just a few mouse clicks.